Link building involves acquiring hyperlinks from other websites that lead to your site. Hyperlinks are most often embedded into content, allowing users to go from one page to another for more information. Search engines such as Google use crawlers that roam through the web, searching for links between different pages and your website. When a site has a significant number of hyperlinks from reputable websites, it boosts search engine results page ranking. If you speak with any web marketer, they will talk about how link building is the most challenging aspect of SEO. It is why using the top link building company in India is the way to go. Arc Digitech offers a superior link building service to any other company in the nation. We use the most relevant methods to ensure that your site has a high position on search results pages, thanks to the relevant backlinks we establish. When the search engine crawls through various sites, it extracts the content on those pages and adds it to the main index. Through this process, Google decides whether a web page is high quality, deserving of a higher rank for relevant keywords and an authority on a subject. The content on your page is very important for search engine results rankings. It is why we offer some of the best content services in the nation. However, web content is not enough to establish your site as a key player in search rankings, especially for competitive keywords. Link building is critical to the process. Google assesses how many links are pointing to your page from external sites. They also look at the quality of those sites, which is why certain black hat SEO techniques are no longer relevant to link building. Think of a link as a vote of confidence. If a website or blog links to your site, it means your site is seen as essential or an authority; the products or services you sell are valuable and the information you provide is relevant. Would you send a link to a friend from a source you do not trust? Would you tell them about a restaurant where you had a terrible experience? No. In the same way, no one links to sites they see as disreputable. Google uses links to determine the reputation of your site and Arc Digitech can help you establish that reputation. If your company has already gone through the process of adding backlinks, our experts audit those links to provide a full assessment. Our auditing includes a complete profile of the backlink, risk identification, and methods for improving those links. An audit is an essential step in discovering where you are already succeeding. Some of your backlinks may be high quality and performing admirably. These links are left alone. Any weaknesses are identified and boosted, ensuring a rapid improvement to your search ranking. While other SEO companies use automated methods for link building, Arc Digitech does not operate on such a basis. We use manual link submissions to deliver the highest quality and most relevant backlinks to your site. Our backlinks not only link from the most reputable websites in the local area or country, but they also come from websites and blogs with relevance to your niche. Such work not only pushes up your reputation in Google algorithms, but it also drives real and targeted traffic to your website. Such traffic is a revenue boost on its own. Our link building is unique from the competition. We do not have a list of websites and bloggers that take on every link we send. Such a method is useful in a pinch, but it does not deliver the excellent and sustained results our clients deserve. 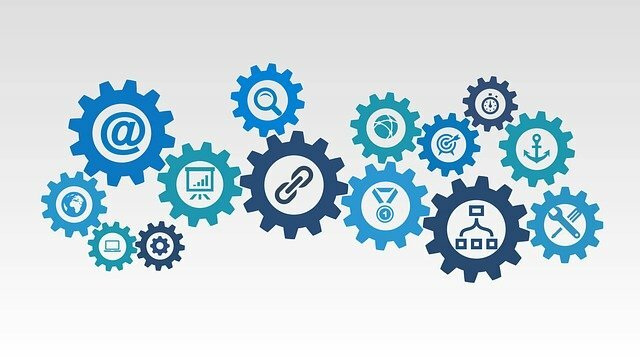 We use extensive research, proven link building methods and the latest techniques to build the highest performing links possible. It is why our clients see a significant improvement in their site rank for competitive keywords within days of our work. Small to mid-sized businesses often target a specific city or province. Arc Digitech’s link building work can help you target customers in Pune and the surrounding area. We add a local tangent to all the link building we do for our clients. By linking to your site from prominent websites, blogs and social media posts in Pune, we drive relevant local traffic to your website. Such work also helps you rank very high for localized keywords, map searches and more. Through competitive link building and social media outreach, we help push your company as one of the most relevant in the area. It helps your brand awareness, provides quality links back to your site from various social media platforms and helps with customer engagement. A proper pipeline for link building outreach can change the way your business performs online. The experts at Arc Digitech will set up a complete outline for building quality links back to your site. We work on finding the best link prospects, revising email templates and other correspondence with those prospects and follow up with them. The more links we set up, the higher your site goes on search engine rankings. It also makes the process of finding new links easier, as your site is established as an authority on a topic. Our experts also keep you informed on every step of the process, indicating our progress on every single link outreach effort. We also analyze the performance impact of added links, showing how they drive traffic to your site and improve your ranking. Supercharge your digital presence and SEO strategies through the best link building service in Pune. Contact Arc Digitech for assistance with link building today.